Just because Summer is over it doesn’t mean you have to stop barbecuing. A few top tips will make sure you can continue enjoying delicious results from your barbecue all year round. Kit yourself out in your warmest clothing and limit the time you spend outside. Your barbecue may be warm, but remember to bundle up, and avoid any scarves, tassels or other clothing items that could come in contact with the barbecue during use! Even better, limit the time you spend outdoors. You don’t need to watch your barbecue as it cooks, thanks to the Weber lid on cooking method and you can even monitor your food as it cooks from the comfort of your home with the Weber iGrill. Your hands, feet, ears, and face will thank you later. Snow gloves are not barbecue gloves. Make sure you are wearing heat-resistant gloves when operating your barbecue. Never barbecue inside your garage or under an overhang, no matter the weather—snow, rain, sleet or wind. Barbecuing safely is always the best policy, so be sure your grill is at least three metres away from all combustible materials and in a well-ventilated area. Clear a path to your barbecue and if it snows remember to remove any snow and ice before ignition—the colder weather will lower the temperatures inside the barbecue, so any additional snow will lower the temperature further. Also, make sure there is ample room around the barbecue for you to move freely and give your grill enough time to pre-heat. Be prepared with extra fuel. Cooking times may need to be extended, or the barbecue may need a little extra fuel to reach the right temperature, so add briquettes when necessary or have an extra gas bottle on hand. One trick is to position the barbecue perpendicular to the wind. This will help control the temperature inside the grill even throughout gusty cooking hours. 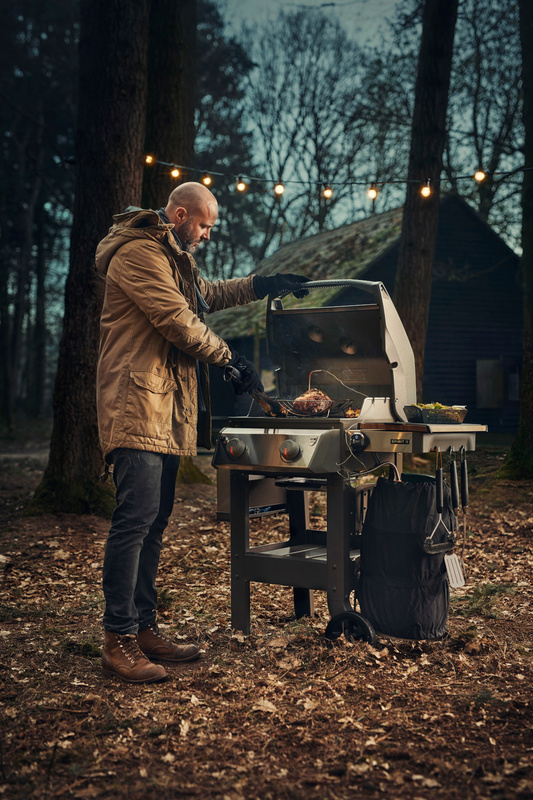 Be patient through the colder temperatures and high winds, your Weber barbecue still knows how to get the job done, even if it's taking a little longer. Plan on adding 5-10 minutes to the normal time it takes to preheat your grill in warmer months. iGrill is your friend. Winter temperatures aside, it's always a good idea to use a meat thermometer to make sure your food is cooked properly and to perfection. iGrill is a digital app-connected thermometer that allows you to connect up to four temperature probes to monitor food from beginning to end. The app will notify you once cooked foods, like steak, chicken or roast have reached the perfect degree to serve. Bluetooth® connectivity, with a range of up to 45 metres (line of sight), means you can monitor the temperature of your food as it cooks from the warmth of your home. Remember to cook with the lid closed. Barbecuing when the temperature is lower will lead to longer cooking times, and the more you open the lid, the longer your food will take. Cooking with the lid on creates an oven-like effect in your barbecue, keeping the heat inside and circulating it around the food. Keep your barbecue covered when not in use – especially in the winter – to protect it from the elements. Trust your barbecue! 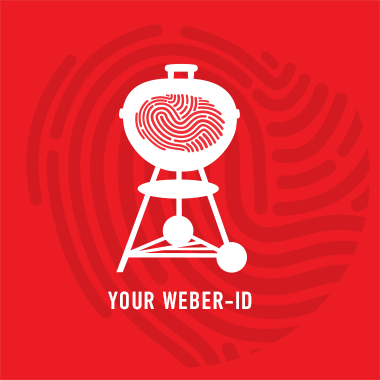 Weber barbecues are put through rigorous testing to ensure that they perform at a superior level in any type of weather. Your Weber barbecue performs well in different weather scenarios because of the high-quality materials used in production. Whether you prefer cooking with charcoal, gas or electric you will be good to go with Weber! So no need to put your barbecue away approaching winter, keep it standing tall in your garden.